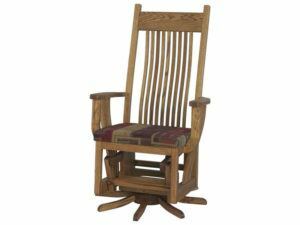 Brandenberry Amish Furniture’s glider rocking chairs shown below are like traditional rocking chairs on steroids. Smoother glide. More comfort. More upscale features. 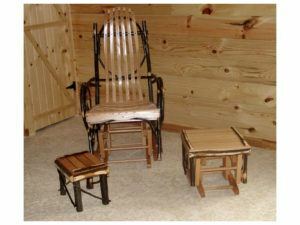 Plus, Amish artisans custom-build them all. And that means increased beauty, strength and durability. Check ‘em out. 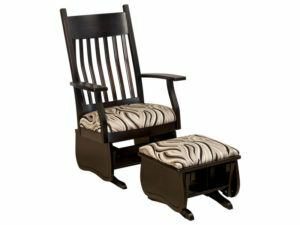 The 4-Post High Back Glider has plush seating marks and a padded back rocker. 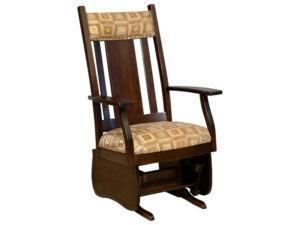 Turned posts accent the stately 4-Post Highback Swivel Glider. 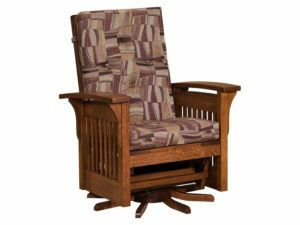 The 4-Post Low Back Glider boasts an inspired design. 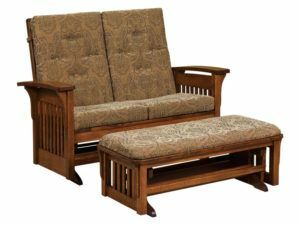 The 4-Post Low Back Loveseat features turned posts. 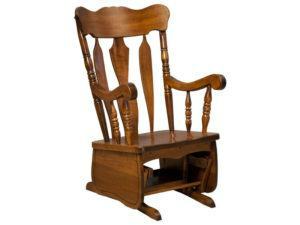 The stylish Amish Bow Arm Glider features paneled wood sides. 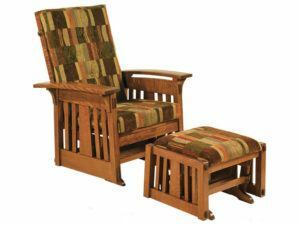 The Artistic Regular Glider boasts a distinct design and comfortable seating. 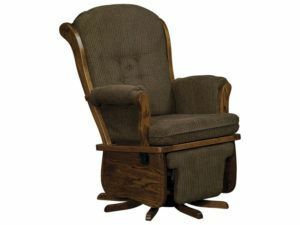 The Artistic SW Glider with Ottoman boasts plush seating. Sturdy wood slats and bowed arms accent the Aspen Glider. 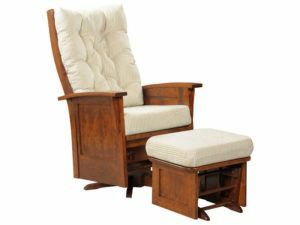 Slip into and relax in this Bow Arm Panel Glider and Ottoman featuring bow arms and Mission end panels. 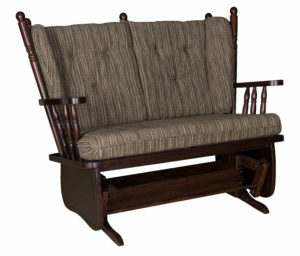 The Bow Arm Slat Loveseat Glider features fine wood craftsmanship and elegant design. 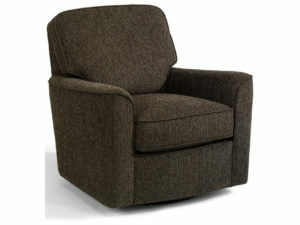 The Darby Swivel Glider provides both comfort and style. 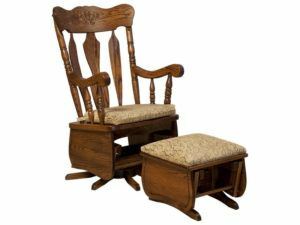 It allows you to bounce between conversations all while relaxing in the comfortable box shaped seat and attached back. A modern finish accents the Finley Deluxe Miss Swivel Glider and Ottoman. 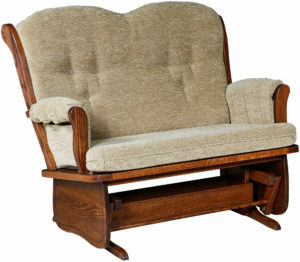 The Finley Slat Deluxe Glider Loveseat offers comfort and a unique style. 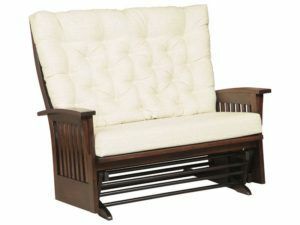 Beautiful wood slat sides mark the Finley Slat Jumbo Deluxe Swivel Glider. 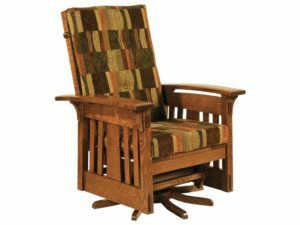 A rich wood finish accents the Heartland Glider. 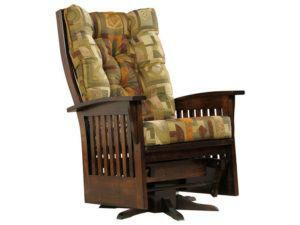 Elegant turned posts accent the Heartland Swivel Glider. 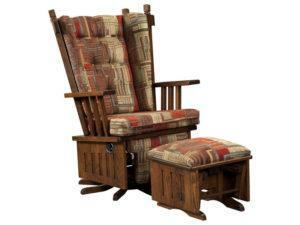 Curved slats and rustic wood adds to the unique style of the Hickory Double Glider. Fine craftsmanship and rustic style meet in the Hickory Glider with Oak Back and Seat. 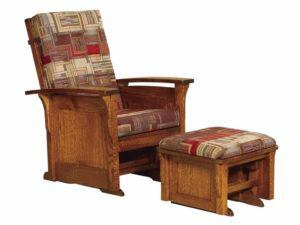 Dynamic wood construction marks the J Mission Swivel Glider and Ottoman. A smooth gliding action accents the McCoy Glider with Ottoman. 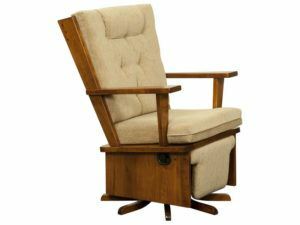 Bowed arms and wood slats accent the McCoy Swivel Glider with Ottoman. The Oakland Beat Panel Glider blends style and strong construction. The Oakland Slat Glider and Ottoman boasts a sleek wood finish. 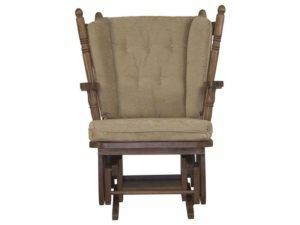 A classic Mission style accents the Regular Mission Loveseat Glider. A dynamic design and comfortable seating meet in the Royal Mission Flat Top Swivel Glider with Ottoman. 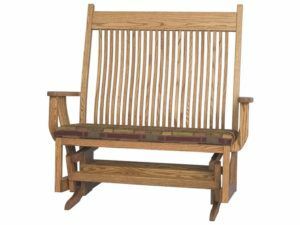 The Amish custom craftsmanship in the Royal Mission Scoop Top Glider will offer you a comfortable and stylish place to relax. 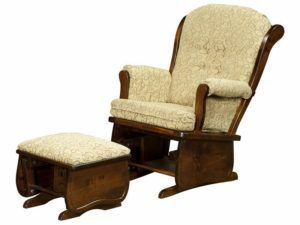 Beautiful Maple construction marks the Swanback Glider with Ottoman. Plush seating and a dynamic style mark the Swanback Loveseat Glider. 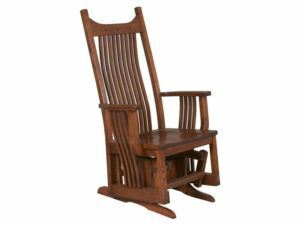 Glide into a new era of comfort and relaxation with one of the glider rocking chairs above from Brandenberry Amish Furniture. There’s no better place to kick back and relax after a busy day. 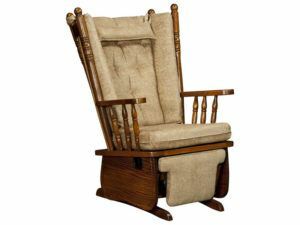 Notice that we’ve assembled a varied selection of glider rocking chairs. Like padded and plain units. 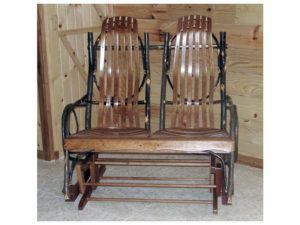 Plus single-seat and loveseat gliders. Also, some of our gliders come with a gliding ottoman. Talk about luxury! 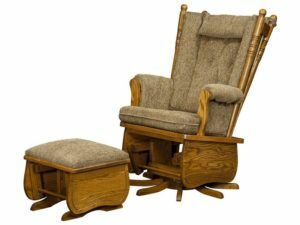 Skilled Amish artisans painstakingly custom-build each glider rocking chair. 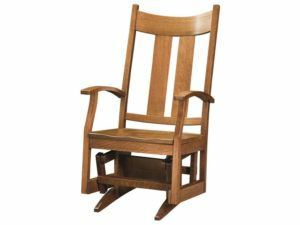 And they build the chairs with a solid hardwood frame, sides and arm rests. Plus plush fabrics.